In the readings for this week, we see a picture of who Jesus is. He is epic. He is divine and powerful and strong and eternal. Why? 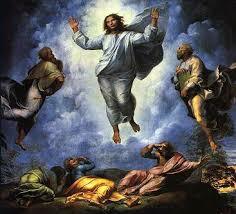 Why do the readings this week focus so much on how big Jesus is, on His divine Majesty, on His power, on His might? Why are we reminded of these things? Because we need to remember that this is His world. He is King. He is Lord. He is in control. He is in charge. Jesus says, not just be healed, but be forgiven. Because as great as the healing was, the forgiveness is even more amazing. That’s the kind of God that Jesus is. He has the power to heal. He has the power to forgive. There is literally nothing that He can’t do. He can do everything. There is not a portion, a part, an inch of your life that Jesus can’t restore, can’t rebuild, can’t bring new life to. Nothing. There is nothing that He can’t do. Today remember His power. Remember that He has the power to heal. He has the power to forgive. He has the power to do everything. Don’t forsake that power. Don’t forget that power. Live as a child of risen and resurrected King. There’s nothing He can’t do. Do you believe that? Do you live like that? We should. We have to. Because that’s who He is. Today, let’s live like we believe that Jesus is who He says that He is. Let’s live in the power that He grants to us. Let’s live.